This Update focuses on some new evidence and arguments that the International Atomic Energy Agency inspections of Iran’s nuclear program are less effective and airtight than proponents of the Joint Comprehensive Plan of Action (JCPOA) nuclear deal usually assert. Its core is a new report by the respected American think-tank, the Institute for Science and International Security, which draws on the Iranian nuclear archives stolen by Israeli intelligence earlier this year to draw conclusions about the state of Iran’s nuclear abilities, the IAEA inspections and especially the role of the Parchin military research complex in Iran. We lead with a news report on the Institute’s finding from the Jerusalem Post for those who do not have time to read the report in full. 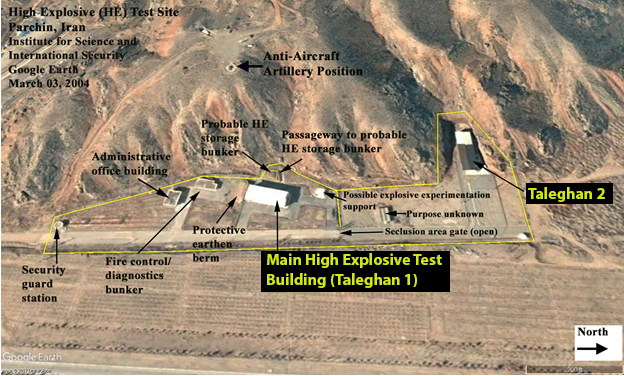 The story, by Yonah Jeremy Bob, notes that the new report, written by experienced former weapons inspectors, offers evidence that Iran has already overcome obstacles to building a bomb which experts thought it had not yet mastered, meaning Teheran’s lead time to a functioning nuclear weapon is shorter than previously thought. Furthermore, the report also takes the IAEA to task for failing to aggressively seek to inspect the Parchin site, given the new evidence about nuclear work that was done there provided by the Israeli archive. For a longer summary of the report’s conclusions, CLICK HERE. A different news report highlighting other aspects of the Institute for Science and International Security report is here. Next up is some comment from American analyst and writer Josh Block on the IAEA’s troubling response to Israeli PM Binyamin Netanyahu’s revelations on Sept. 27 at the UN General Assembly of an additional alleged Iranian nuclear warehouse. In addition to discussing the IAEA’s refusal to follow up on Netanyahu’s claims, Block cites earlier findings by experts from the Institute of Science and International Security that the IAEA is simply unable to provide assurances with respect to Iran’s obligations under Section T of the JCPOA – “activities which could contribute to the development of a nuclear explosive device.” He points out that overall, IAEA assurances that Iran is complying with the deal mean no more than “Iran didn’t blatantly violate the deal at any site that the IAEA has access to.” For this knowledgeable argument in full, CLICK HERE. Finally, on a separate but related topic, Israeli military intelligence experts Raphael G. Bouchnik-Chen and Dany Shoham explore the European efforts to preserve the JCPOA in the wake of the US withdrawal from it. They argue that the EU approach – attempting to meet Iranian demands that Iran be given the full economic benefits of the JCPOA despite US sanctions, and being willing to downplay Iranian missile testing and refrain from pushing Iran for more effective inspections – is based on a misunderstanding of the nature and goals of the Iranian regime. 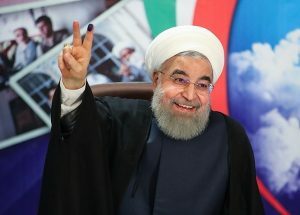 They posit that the current “sophisticated blackmail campaign” by Teheran against the EU will eventually cause the EU’s utopian approach towards Iran to be reassessed. For all the details of this well-informed analysis, CLICK HERE. An online American commentary uses quotes from the new Institute for Science and International Security report to highlight how media organisations which dismissed Netanyahu’s claims about the Iranian nuclear archives got it badly wrong. An Iranian opposition group publishes a report which offers evidence that the Iranian regime allegedly places terrorist operatives abroad under the cover of diplomacy. Veteran Australian Jewish Leader Isi Leibler offers some advice for the members of the Jewish Federations of North America in advance of their annual General Assembly in Tel Aviv. AIJAC’s statement in response to the Australian government’s foreign policy announcements last week flagging reviews of Australian policy on recognising Jerusalem as Israel’s capital and the Iran nuclear deal. Comments by AIJAC’s Colin Rubenstein on the Jerusalem announcement in the Strategist and the Melbourne Age. Plus more comment from Ahron Shapiro in the Daily Telegraph. Naomi Levin on the extreme and factually-challenged reaction by the Australian Greens to the government’s flagging a possible change of policy on Jerusalem. AIJAC National Chairman Mark Leibler describes an account of a June 2010 meeting with then-PM Kevin Rudd published in the Fairfax papers as “completely false”. More on his refutation of these claims appears in a report in the Australian Jewish News. Video comments on Jerusalem, Gaza and Iran from Israeli strategic analyst Brig. Gen. (res.) Yossi Kuperwasser, currently visiting Australia. Mossad documents and satellite photos shed new light on Iran’s nuclear program. A 2004 Google Earth commercial satellite image shows the Parchin complex that was involved in nuclear weapons high explosive testing work under the AMAD project taken from the new Institute for Science and International Security report. Moreover, the report implies that based on photos from the Mossad appropriated documents, Iran has not accounted for complex equipment that would be used for the process of developing a nuclear weapon – meaning the IAEA should be confronting Tehran about where and whether it is hiding it. Image from the archive seized by Israel and made available to the public. 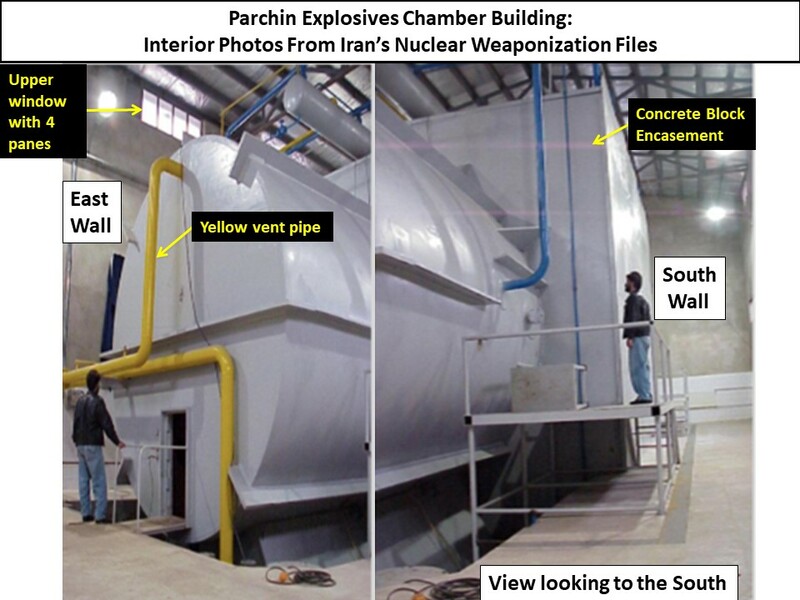 it shows a high explosive test chamber at the Parchin site. Annotations by the Institute for Science and International Security. The report said that the Mossad-obtained “nuclear archive shows that Iran conducted at Parchin more high explosive tests related to nuclear weapons development than previously thought…this work appears to have involved more than what the IAEA called feasibility and scientific studies,” as the IAEA asserted in a December 2015 report. Israeli Prime Minister Benjamin Netanyahu addresses the General Assembly at the United Nations on Sept. 27 and makes new allegations about a previously unknown Iranian nuclear warehouse. 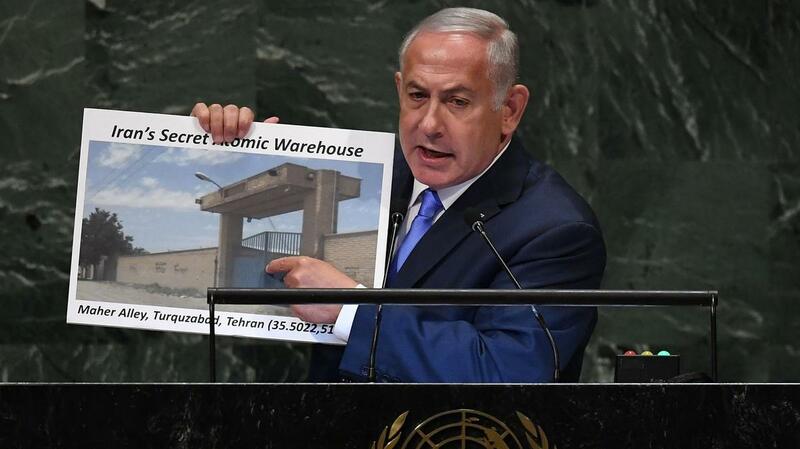 In his speech to the U.N. General Assembly last month, Israeli Prime Minister Benjamin Netanyahu revealed that Iran, in addition to having an archive of files documenting its illicit military nuclear research, has a warehouse containing nuclear equipment and material. 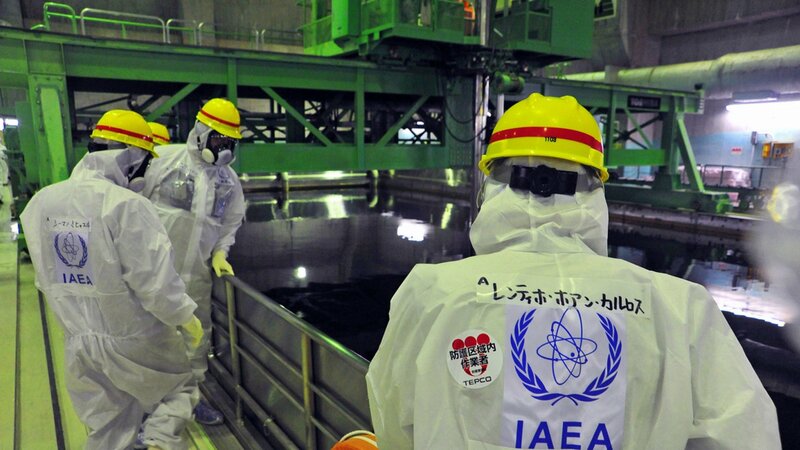 The prime minister exhorted International Atomic Energy Agency (IAEA) Director General Yukiya Amano to “go and inspect this atomic warehouse immediately,” before Iran hides its contents. This wasn’t the first time the IAEA failed to investigate possible Iranian violations discovered by Israeli intelligence. When Israel in April smuggled out a half-ton of documents and CDs from a Tehran warehouse, the IAEA issued a similar statement: “In line with standard IAEA practice, the IAEA evaluates all (nuclear) safeguards-relevant information available to it,” but gave no indication that it would investigate further. In announcing the Iran nuclear deal in January 2016, President Obama said Iran couldn’t possibly cheat because the agreement ensured “the most comprehensive, intrusive inspection regime ever negotiated to monitor a nuclear program.” The guarantee for Iran’s full compliance, therefore, was one of the central selling points of the accord. However, critics at the time pointed out that the IAEA did not, in fact, have complete knowledge of Iran’s nuclear weapons program. This effectively meant the nuclear watchdog was unable to explain in full Iran’s nuclear weapons activities, including verification that Iran’s nuclear program had been completely dismantled. The gaps in the IAEA’s knowledge — of Iran’s past nuclear work, of its military sites, of items mentioned in Section T of the nuclear deal, and of the nuclear sites discovered by Israeli intelligence — raise questions about the full extent of Iran’s nuclear program. These gaps are important as we approach November, when President Trump has said the United States will impose sanctions on Iran’s energy sector that could “cripple” its economy. Defenders of the nuclear deal say the IAEA has confirmed Iranian compliance, but in fact, all they can confirm is that Iran didn’t blatantly violate the deal at any site that the IAEA has access to. Defenders of the nuclear deal have argued that the United States is wrong to impose sanctions on Iran because the IAEA confirmed it has been complying with the deal. But with its failure to establish a full picture of Iran’s nuclear ambitions, it can’t be said to have confirmed the country’s compliance; just that Iran didn’t blatantly violate the deal at any site that the IAEA has access to. When he revealed Iran’s nuclear archive in April, Netanyahu said Iran kept the files to “use them at a later date.” In other words, the gaps in the IAEA’s knowledge of Iran’s nuclear program mean the deal enables Iran to do what Obama said the accord would never allow: develop nuclear weapons. There is a lot that we don’t know about Iran’s nuclear program. There is a lot we will be unable to know because the deal has too many holes, and the IAEA is unable — or unwilling — to address them. The operational launch by the IRGC of six ballistic missiles into eastern Syria on October 1, targeting ISIS-related facilities, employed Zolfaghar and Qiam variants, which have ranges of 750 kilometres (465 miles) and 800 kilometres (500 miles), respectively. This was a message not only to the US, Israel, and Saudi Arabia, but to the EU as well. 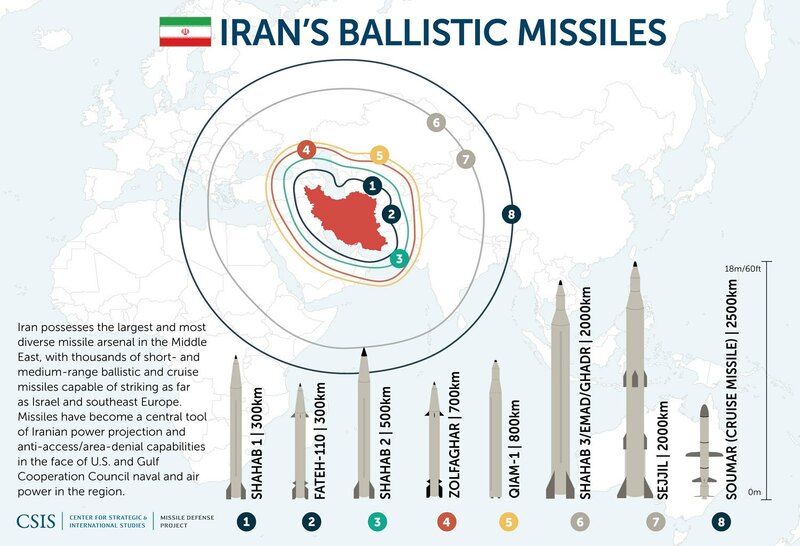 It is not by coincidence that the operational use of the long-range missiles took place just a month after French Foreign Minister Le Drian warned Iran (on August 31) that it “cannot avoid” talks on its ballistic missile program and role in Middle East conflicts. 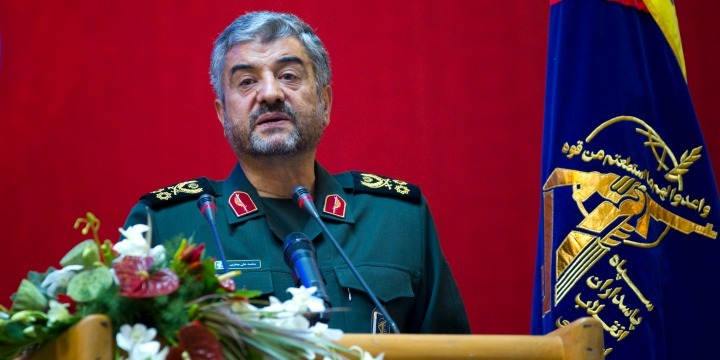 By acting in this way, Iran appears to have been signalling 1) that it will not hesitate to employ strategic weapons for tactical purposes, and 2) that it already possesses the necessary technological and operational capacity to threaten targets in Europe. This is not the first time Iran has launched ballistic missiles after French warnings. On June 18, 2017, six Iranian ballistic missiles were launched targeting ISIS forces in eastern Syria. The missiles reportedly were of the Zolfaghar type (an upgraded Fateh-110 with a longer range and optional cluster munition warhead), with a reported range of 750 kilometres. This striking incident occurred shortly after an EU senior delegation conducted high-level talks in Tehran (on the occasion of Rouhani’s inauguration) during which Iran was firmly advised to abandon its ballistic missile program. The Iranians probably used other means as well to sway the EU into abandoning its ambition to impose sanctions on Iran for its ballistic missile program. On March 29, 2018, it was reported that at a closed-door meeting, Italy, Spain, and Austria rejected a plan to freeze assets and impose travel bans on some 15 Iranian individuals, companies, and groups linked to Tehran’s ballistic missile program and its involvement in the Syrian civil war. According to EU rules, such a decision can’t be taken without unanimous agreement.